It’s easier to build strong children than to repair broken adults. Your child was created with an incredible healing potential inside their body. Subluxations (misalignments of the spine affecting the nerve system) can keep them from fully expressing this health potential. Your child’s spine is their lifeline. The spinal cord contains billions of nerve fibres that are responsible for sending life and vital messages from the brain to every part of the body. Spinal problems can start from birth, which is shown to be traumatic for a baby’s spine. As your child grows, the important nerves that surround the spinal cord are affected by trauma and injury that cause misalignments, called subluxations. Dr. Wood, Chiropractor Kelowna is extensively trained in locating and correcting subluxations, keeping your child’s nerve system healthy. With our younger clients, we find that because their problems haven’t existed for long, they clear up quickly. Our adjustments are simple, extremely specific and exceptionally gentle. By finding and correcting unhealthy patterns now, they can benefit well into adulthood. Once your child’s problem is cleared up, we recommend they have regular checks to make sure they maintain their alignment and health. Studies show that within two weeks of a subluxation being present, there are cellular changes to the soft tissues, ligaments and muscles as they compensate. With regular checks, these changes can be addressed immediately and prevented from building up over time. Chiropractors don’t treat those symptoms specifically, they correct the subluxations so the body can heal and strengthen the areas that were weakened. Many case studies and scientific research show that this approach is effective. Click here to see examples of research and case studies showing how addressing subluxations can help the body heal specific conditions. The pressure needed for a baby or child’s adjustment is about the same that you would use to check the ripeness of a tomato or peach. Dr. Wood has found that gentle subtle techniques work well for children, so he rarely uses any manual adjustments. No pain is involved and kids love getting adjusted. Dr. Wood has Fellowship training with the International Chiropractic Pediatric Association. 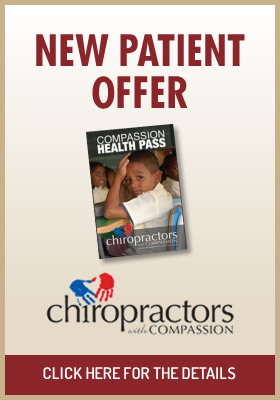 He has checked and adjusted thousands of children over his many years in practice. 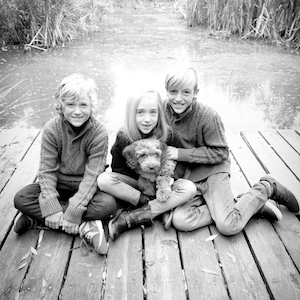 With three kids of his own, Dr. Wood regularly checks them to make sure they enjoy the best possible health. Check out the book that Dr. Wood co-authored (available in our office) titled, “The Art of Being Healthy,” to read hundreds of miracle stories about young chiropractic clients, many of them from our office. Contact us today to get started on improving your family’s health!